SpreadBettingPortal.com > FAQs > How much capital do you need to do this for a living? Is it ill-advised to consider spread-betting for a living income with say 20k? Simply do the maths – to earn £500 per week on a pot of £20,000 implies a high degree of leveraging. To earn that on a regular and consistent basis week by week surely defies the odds when you are just starting out. And, if the leveraging goes wrong – which inevitably from time to time it will – then your pot very quickly diminishes; making the chance of success even harder. 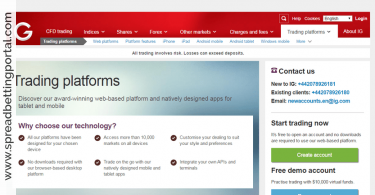 I want to earn £500 per week – is this possible with financial spread betting? You state you want to earn £500pw this is a very dangerous way to approach the market it’s unlike all other jobs where basically you know you earn x each day, you will start breaking down your £500 per week to £100 per day and this will put you under pressure to find trades that are just not there and before you know it not only are you not earning £100 but you are losing and then the next day it becomes a bigger challenge and you again take trades to make up lost ground… So you need to have a different approach i.e. if the market gives me opportunities today I will take them, otherwise it’s not a problem. Depends on your lifestyle I would say and what you need to maintain your lifestyle. In good years you’ll need to make more than you live on to cover the lean years. I’d actually say do you fancy doing this for a living when the market isn’t good? In that I mean when the market has no direction – it’s often nearly as easy to short in a raging bear market, it’s the markets that go nowhere for ages when you just struggle. I’d say you need to work out what you need to live on. I reckon you need about 10 times what you need to live on p.a. if you are trading with real shares. I think if you’re spread betting or CFDs you can probably get away with less but then you’re geared, if you get it wrong your capital falls sharply. 10 times what you need to live on should give you a bit over to build up your capital over time imo, if you’re half decent at what you do. Obviously it all depends on how good you are at this game too. Do you want to ‘live’ or are you happy to just ‘exist’? I reckon 90% of these guys on forums that do it for a living are actually just existing while there are a few real good investor/traders that make a great living. I rarely let any stock exceed 15% of my total holdings – it would have to be a really stonking buy and very liquid for me to have a position of 15% usually. Cash on the sidelines – I’ve been invested up to the 95% mark at times with only 5% of my total investments or liquid wealth in shares. I watch the markets closely – if I start feeling a tad nervous I start moving into cash and if I start feeling confident I go more into equities. It’s something you get the feel for over time – your gut usually tells you when you’re in deep enough imo. Don’t be afraid to sell if things ever look dodgy though imo – you can always buy back and take a small hit for dealing in and out – staying in because you feel you’re right and the market will change is a recipe to lose money. Always remember the most important thing is to still be in the game to play later on – cash preservation when the markets are tough. Make sure you have a good pot to play with when you’re sure the market has turned up then. I was fully invested in the 80’s Black Monday crash – lost 30% of what I had overnight. Was the best thing that happened to me – meant I’ve always stayed that bit scared enough not to get over-confident imo. I sold out in the tech boom reasonably early while others hung on by their nails and gave it all back. I went into Gilts in 2007 prior to the Lehman crash and saved myself a lot of losses then – not because I’m smart but because I’m a coward basically. But as my old gramp used to tell me when I was a kid – ‘it’s better to be a live coward than a dead hero’. I use Sharescope and ProQuote. I do use stop losses on trades or stuff where the chart might be turning against me. I don’t use stop losses in stocks where I am building a position or in some small caps where you just couldn’t get out without being dissected.